There are a fair number of states that strict, and sometimes goofy, rules regarding what types of consideration support non-compete contracts. It is not in dispute that a non-compete agreement entered into at the beginning of the employment relationship needs no independent consideration to be enforceable. In some states, continuing employment, usually for a substantial period of time, suffices to validate the covenant. In others, however, employers have to be careful. 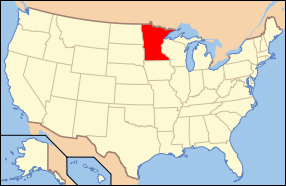 Minnesota is one such state. If an employee has commenced employment before signing a non-compete (a typical "afterthought" case), an employer must provide valuable consideration for it to be enforceable. This is not unusual, but courts in Minnesota have taken this rule to a the extreme: if an employee verbally accepts a job before the employer has informed her a non-compete agreement will be required, then new consideration must be provided for it to be enforceable. As a result, many contracts governed by Minnesota law will recite that a nominal bonus (of say $2,500) is given in exchange for signing the non-compete agreement. Under the law, even a disproportionately low bonus probably is sufficient consideration. If some recitation is left out of such a contract, an employee may be able to argue that he or she accepted a position (even before starting) without first being told that a non-compete was required.